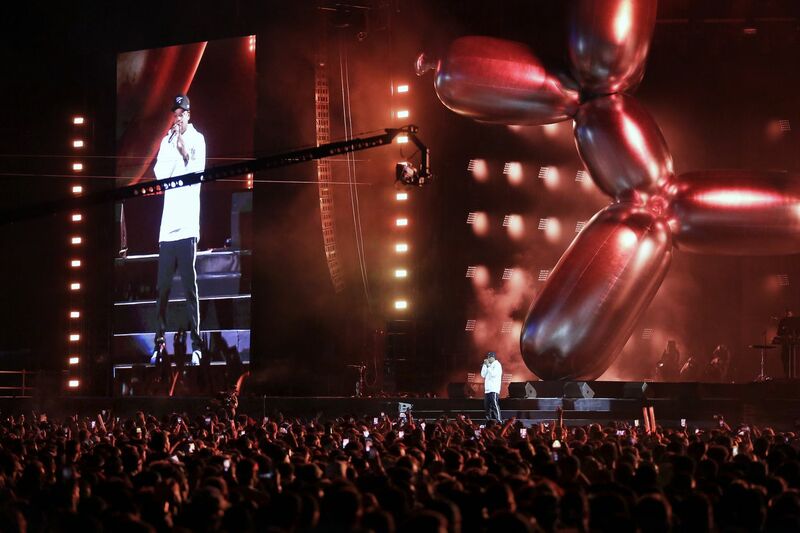 Jay-Z performs during the Budweiser Made In America festival on the Ben Franklin Parkway in Phila., Pa. on September 3, 2017. Explore Ukrainian folk art, song, music, and dance at this annual celebration, where you'll also be able to try traditional Ukrainian foods and sip cold beers. There's a children's area, too, where your little ones can participate in games and have their faces painted free. Check out the offerings of this year's Fringe Festival at this sneak-peek event, where you can preview 10 works in 5-minute sections free. The previewed shows include everything from a musical about witches played by queer artists and drag queens to an exploration of how the idea of a "Jewish beauty" has changed over time. The Franklin Institute's monthly events for adults (age 21 and up) allow you to explore your curious side, and this month's theme is "Don't try this at home." Imbibe at the museum's cash bars, and watch scientists conduct daring experiments. Snuggle with adoptable kitties at this weekly happy hour, where admission includes a complimentary glass of wine or beer. The two comedy legends visited Philly in 2016 with their show "An Evening You Will Forget for the Rest of Your Life," and now they've brought it back. Hey, it's not every day you get to see two-thirds of the Three Amigos in the same place. Kendrick Lamar has been added to the big-name talent for the seventh edition of the Jay-Z-helmed, Budweiser-sponsored blowout on the Benjamin Franklin Parkway, along with Nicki Minaj and her former boyfriend, Philadelphia rap star Meek Mill, plus "White Iverson" rapper Post Malone. Other performers of note on the raucous two days of hip-hop, R&B, and EDM on Labor Day weekend: electronic DJ-producer Diplo, Atlanta pop-funk-R&B star Janelle Monáe, and Los Angeles genre-blending songwriter Miguel. The Community star is a comedian these days, but his first career was in medicine in California, where he was a licensed physician. His medical training helped him at a gig in Phoenix in May when a woman began having a seizure in the audience, but let's hope he doesn't have to use it again in Atlantic City.